CHS 2018-2019 Classified Employee of the Year! CHS 2018-2019 Teacher of the Year! Congratulations to Mrs. Debbie Justus! EOC Testing will begin at 8:35 AM. 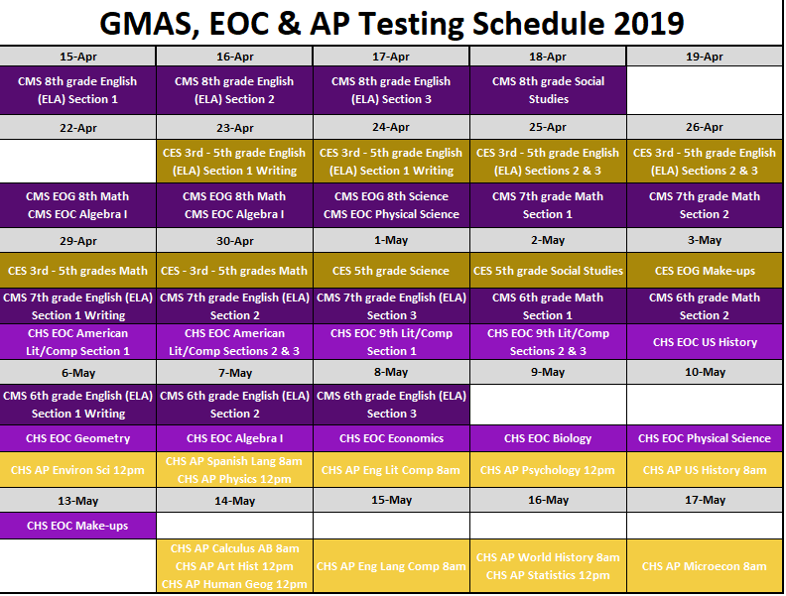 AP Testing times are indicated on the calendar.